The Canadian dollar is strengthening against its US counterpart as the central bank hinted that a rate hike is on the table, but it depends entirely on economic data – both at home and abroad. The loonie has improved against the greenback so far this year, despite the Bank of Canada (BOC) taking a wait-and-see approach on interest rates. Rising crude oil prices are also helping lift the currency to finish off the trading week. Speaking in a comprehensive sitdown interview with Bloomberg TV in Davos for the World Economic Forum, BOC Governor Stephen Poloz explained how he is moving forward with interest rates. It can be summed up by one word: data. We are at a stage in the cycle where it always looks like monetary policy is doing the wrong thing. Meanwhile, according to The Financial Post, Canada could experience something it has not faced in nearly seven decades: a recession without the US also suffering from an economic contraction. However, median estimates suggest that most economists, analysts, and the BOC do not see a recession anytime soon. The chances of a recession over the next 12 months are about 20%. That does not mean there will be sluggish growth in the same time frame – the BOC slashed its 2019 growth rate to 1.7% and to 2.1% in 2020. But the US has a better chance of a recession, with the odds hitting 25%, based on 50 surveys. On the data front, wholesale trade declined 1% in November to $63 billion, while manufacturing sales slipped 1.4% to $57.3 billion. March West Texas Intermediate (WTI) crude oil futures surged $0.52, or 0.98%, to $53.65 per barrel at 16:45 GMT on Friday on the New York Mercantile Exchange. Oil, which is one of Canada’s biggest exports, has had a good start to 2019, advancing more than 16%. 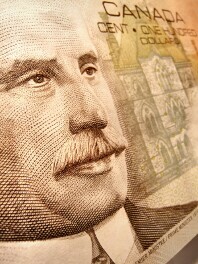 The USD/CAD currency pair tumbled 0.7% to 1.3259, from an opening of 1.3351. The EUR/CAD rose 0.09% to 1.5113, from an opening of 1.5092.